It’s not often that we’re offered a protein bar and we jump at the opportunity. Most often, they’re chalky, incredibly chewy, or just plain bad-tasting. Despite all of this, protein bars remain a very convenient way to get our daily protein intake. Thankfully the good people at NuGo care about protein bars and have created the best tasting no-sugar protein bars we’ve ever tasted. If you’re on a keto diet, managing diabetes, or simply want to omit the sugar, your options for sugar-free protein bars are pretty slim. Typically they’re either full of artificial sweeteners, or they’re flavorless hunks of bad-tempered fiber. NuGo slim bars are neither luckily, using the perfect mix of crunchy chunks, delightfully chewy protein, and all-natural chicory root for sweetness. 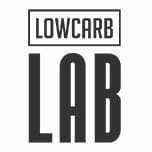 This combination creates low carb protein bars that are actually healthy and actually delicious. It’s unlikely you need to be told the benefits of increased protein intake, particularly if you’re an active person. Protein is great for muscle recovery and keeping you full, but only if you can stomach it. With most protein bars, eating them can be as much of a workout as the workout itself, chewing endlessly until your jaw wants to fall off. NuGo Slim protein bars are different, offering a variety of textures that manage to avoid that bland, kind of sad feeling you get when you eat other protein bars. With 7 flavors to choose from, it’s hard to imagine you’d get bored, and chances are good you’ll find something that appeals to you. Low sugar content – because they’re sweetened mostly with chicory root, and only a very small amount of actual cane sugar, the overall sugar content is incredibly low. With a total of 2-3 grams of sugar per bar, the glycemic impact is exceptionally low, with a lab-tested glycemic index of 24. No artificial sweeteners – no-sugar protein bars are often sweetened with maltitol, which is a sugar alcohol. While it’s not the worst thing, it still causes a fairly high glycemic reaction, and it’s definitely linked to stomach pain, gas, and bloating. High protein – In addition to simply being a delicious snack, NuGo slim bars are packed with protein. With 16-18 grams of protein per bar, they’re a great addition to your healthy nutrition plan. 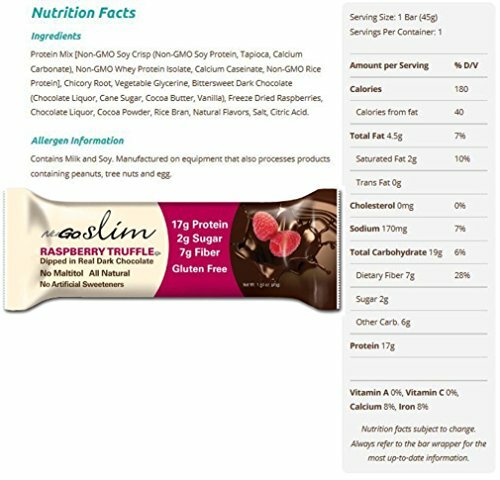 All of the NuGo Slim protein bars are gluten-free, GMO free, high in fiber, and 4 (as noted above) are even vegan! Naturally not everything is perfect, and though they’re minor, there are a few things worth mentioning that are less-than-ideal about NuGo Slim protein bars. Aftertaste – as with most low carb protein bars, there’s a bit of an aftertaste. In this case, the chicory used to sweeten NuGo bars can have a bit of a bitterness on the tail end. Availability – thus far, we’ve only been able to find these online. Though they do sell them in stores, none around me carry them, so finding them in person might be difficult. 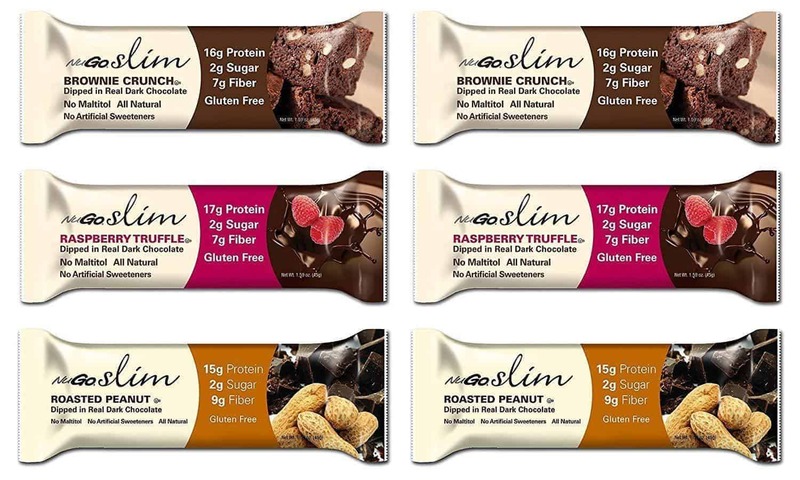 Price – though not nearly as expensive as other protein bars, NuGo slim bars carry a price of around $1.75 – $2.00 USD. To be honest, however, you get what you pay for, as the ingredients and flavor are both high quality. Are NuGo’s bars right for you? Ultimately healthy food is only as good as it tastes. If you won’t or can’t eat it, then it’s not doing you much good, is it? NuGo has made a line of sugar-free protein bars that really pack a protein punch while being perfectly palatable. With 7 available flavors, including 4 that are perfect for those on a vegan diet, you’re sure to find one that will fit your lifestyle and tastes. At around $2.00 per bar, they’re reasonably priced, and although their in-store availability is spotty, you can order them online with no difficulty at all. 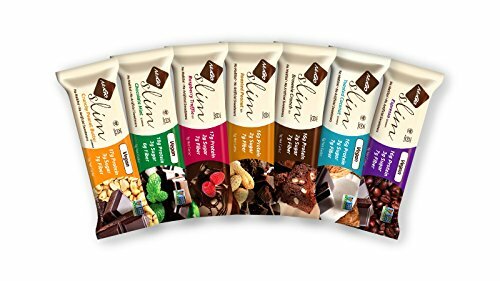 They’re definitely worth trying, as we think you’ll find they really are a fantastic evolution in the protein bar market.